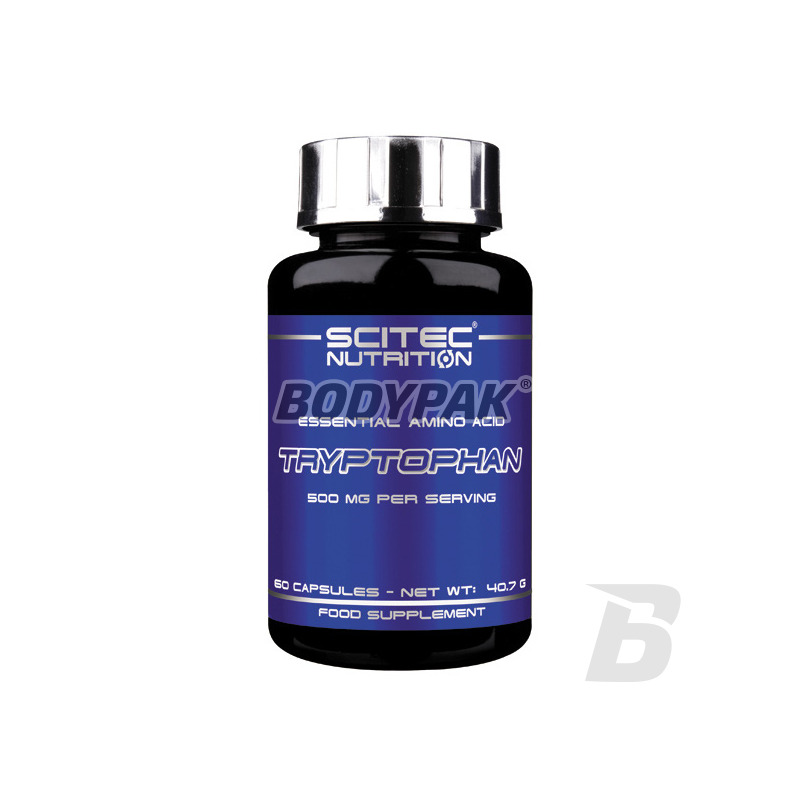 Health & BeautyScitec Tryptophan - 60 kaps. 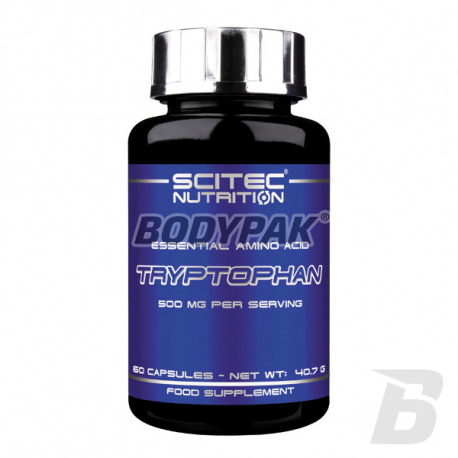 Scitec Tryptophan - 60 kaps. High quality tryptophan capsules! It is an exogenous amino acid involved in the synthesis of melatonin and serotonin - two hormones that regulate our mood and stress response. Tryptophan - a natural antidepressant, increases the level of serotonin, which reduced the level is the primary cause of anxiety and depression, changes in mood and behavior, sleep disorders and tendency to addiction and overeating. L-Tryptophan - is an exogenous amino acid involved in the synthesis of serotonin and melatonin: two hormones that regulate our mood and stress response which is part of proteins, which must be delivered into the body with food. The brain uses the L-tryptophan for the production of the neurotransmitter serotonin needed to carry nerve impulses from one nerve cell to another. Lack of serotonin causes depression, insomnia and other mental disorders. L-tryptophan relieves stress, is soothing for your heart. Effectively suppresses appetite allowing adjustment of weight. It affects the good, deep sleep, which is essential for proper recovery time. Lagodzi stany wkurzenia i poprawia naprawde nastroj. Czuje sie po tym spokojniejsza.